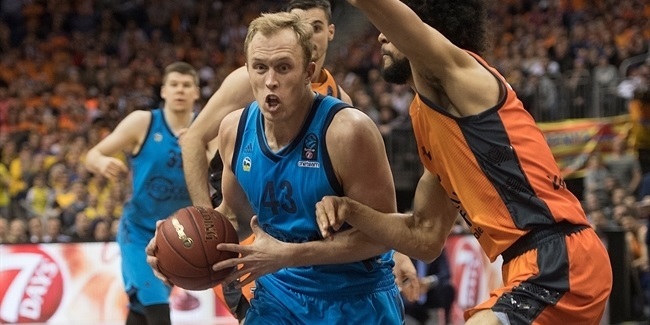 ALBA Berlin hopes to build on a record-breaking performance in its 7DAYS EuroCup Semifinals Game 1 victory in looking ahead to Game 2, while MoraBanc Andorra can be pleased with its second-half showing in Berlin. Game 1 in the German capital was an offensive fireworks show as the 102-97 ALBA win was the highest combined score ever in a EuroCup semi. ALBA's 102 points were the second-highest ever in a semifinal, bested only by Hemofarm Vrsac's total in a 107-84 win over Makedonikos Kozani in the 2004-05 semifinals - a playoff that Hemofarm ended up losing in a two-game total-points series. ALBA head coach Aito Garcia Reneses was happy his team was able to hold on and win despite watching a 19-point lead dwindle down to 2 points in the final minute, especially after ALBA lost Game 1 of the quarterfinals to Unicaja Malaga after blowing a 21-point advantage. "I always expect all possibilities, not only me. After the first half the players were saying, we have a good lead, but remember Malaga. Because it happens. Nobody gives up. It's always possible to win or lose despite leading by 20 or losing by 20," Reneses said. The veteran coach will be hoping his players can have the same energy in Game 2 in Andorra on Friday. 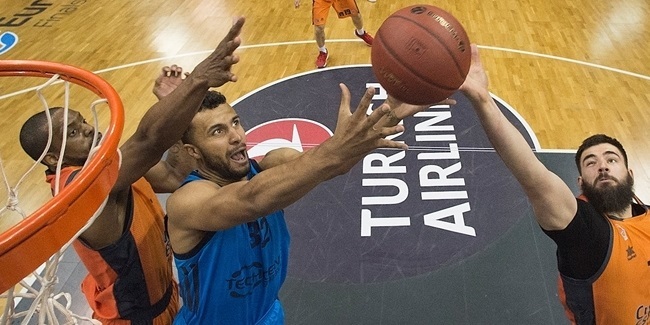 ALBA playmaker Peyton Siva battled a cold - for which he went to the doctor on Monday - to collect 18 points, 4 rebounds, 9 assists, 2 steals and 7 fouls drawn for a performance index rating of 32. And ALBA big man Landry Nnoko was held out of the team's German league game at Giessen over the weekend for the same reason. MoraBanc, on the other hand, has the positive of a strong second half bounce-back. It scored 30 points in the third quarter alone. And it heads home, where it is unbeaten this season. "The first half from a defensive point of view was a complete disaster for us. We were not able to compete against them," MoraBanc head coach Ibon Navarro said. "The good news is that for the second half we learned how to play and compete against them. That is the best news for us tonight. I hope that my team will be able to compete from the first moment and the first second on Friday."